Read up on our latest blog posts about brushing, flossing, dentures, electric toothbrushes, and other tips on dental care. Forest Lawn Dental Centre, in Calgary, offers a wealth of information to help you and your family maintain healthy and beautiful smiles. When you begin wearing braces, the quality of your sleep may suffer in the initial days or weeks. Generally, this is simply because your gums and cheeks aren’t yet used to the dental apparatus being in your mouth. A certain amount of pain and discomfort is completely normal during this period. However, there are things you can do to alleviate the soreness and catch more Z’s. If you’re considering orthodontics, give the team at Forest Lawn Dental Centre a call—your premier source for affordable dental braces in Calgary. Keep reading below for useful tips on sleeping comfortably with your new braces. For many people, going to the dentist causes a large amount of unnecessary stress. Nobody needs extra stress, so what do they do? They simply stop going to see their dentist. Having your teeth examined is incredibly important and can save you a lot of trouble when it comes to preventing and treating all sorts of oral conditions that will otherwise get worse over time. Luckily, that no longer has to be an issue. At Forest Lawn Dental Centre, we offer both oral and IV sedation for our patients who get anxiety from simply being inside a dental office. Let our team of dental professionals show you why sedation dentistry might be right for you. The battle to keep your teeth healthy is never ending. While home care and proper diet do help, it’s important that you receive proper care from your family dentist at least once every 6 months. Fluoride treatment from your dentist is the best way to achieve stronger, more resilient enamel that will protect your teeth against the harmful substances we ingest daily. At Forest Lawn Dental Centre, we provide dental services that range from cleaning to whitening, all the way to cosmetic implants and fluoride treatments. Let our experts show you the benefits of having professional fluoride treatments next time you visit your local dentist. When you have a lot of dental work to be done, it’s easy to feel overwhelmed at the prospect of spending several hours in the dentists’ chair. You might wonder how long your procedure will take, and how much pain or discomfort you’ll feel as a result. But you can’t avoid the dentist without putting your dental health at risk. That’s why dental sedation is sometimes your best option. Keep reading to learn more about why sedation dentistry could be right for you. 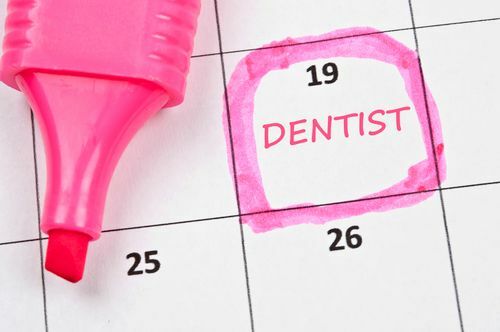 How often should an adult visit the dentist? As adults, we know it’s difficult to make your oral health a priority. However, if you want to avoid complication as you get older, it’s important that you establish good dental habits early on in your life. At Forest Lawn Dental Centre, we offer expert advice and dental services to everyone in the Calgary area. So, how often does an adult have to visit the dentist? Let our dental professionals walk you through the different factors that determine the ideal frequency of your visits. Most dentists recommend that babies should have their first visit to the dentist as soon as their first tooth erupts and no later than their first birthday. After that, your child should see the dentist regularly, at least every six months. Braces are a big decision for everyone. For most people they’re a major investment of time, money, and effort. At the same time, they’ll help improve your smile and self-confidence. 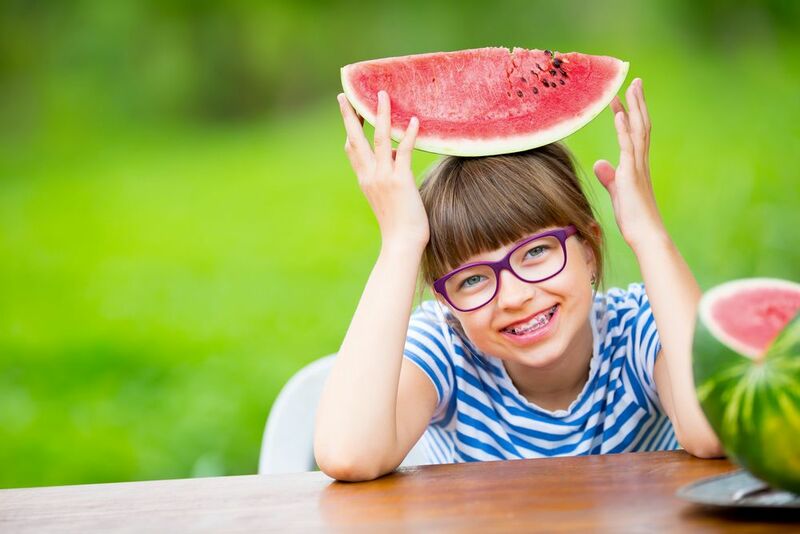 In many cases, braces can even help contribute to your overall health as misaligned teeth can affect breathing and eating, among other things. It’s a question that your dentist has heard many times before from patients just like you living in the Calgary area. The short answer is “no,” but there are important things that you need to be aware of. Do-it-yourself teeth whitening products can be dangerous if applied incorrectly or used too frequently. Keep reading to learn more about professional cosmetic dentistry and the whitening procedures available from your dentist in Calgary. When Should I Reline My Dentures? Just like your natural teeth, your dentures require maintenance in order to look and feel their best. But it’s important to keep in mind that dentures are meant to offer a semi-permanent solution for missing teeth and even the most well-maintained dentures can wear down or become misaligned with time. If you think that your dentures might need to be relined, keep reading for more information. 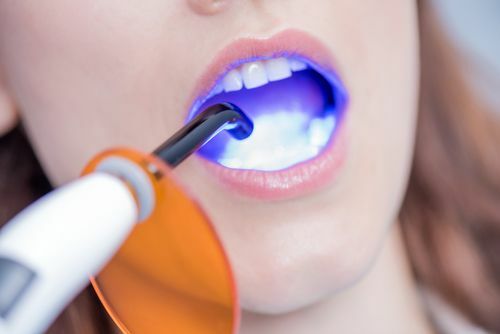 If you’re considering teeth whitening or other cosmetic dentistry in Calgary, you’re not alone! Teeth whitening and cosmetic dentistry have exploded in popularity in Calgary over the last few years. Deciding Between a Root Canal and Emergency Tooth Extraction? Fortunately, tooth extractions and root canals are significantly less distressing than they once were. Do you jump for joy at the idea of visiting your dentist in Calgary? No? Not many of us do. But not being a super fan of dentist visits is nothing compared to suffering from a full-blown dental phobia. A dental phobia can have devastating psychological and social consequences. You are too busy to take the day off work. The idea of going to the dentist for a procedure makes you anxious. If you rinse, brush and floss, the problem will take care of itself. Porcelain veneers have been around for some time now. These thin pieces of porcelain look and feel like your real, natural teeth, but they help cover imperfections that keep you from smiling with confidence. How Long Do You Need to Wear Your Retainer? 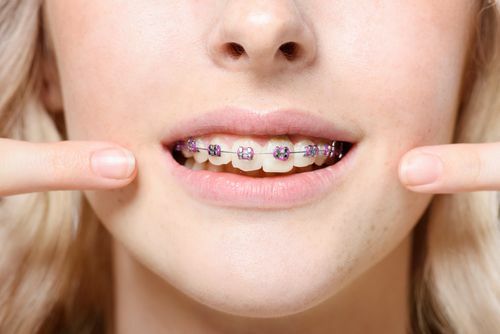 Getting your braces removed may leave you smiling in relief, but unfortunately, your newly straightened teeth are likely to fall out of alignment unless you wear a retainer. As the name suggests, retainers are intended to retain the shape of newly straightened teeth. They can be fixed or removable, and it’s probable that your Calgary dentist will recommend you keep wearing yours for at least a year. Is a solitary tainted tooth getting you down? Whether it’s an injury or an abscess within the root that causes it, a lone darkened tooth can be a blemish upon an otherwise perfect smile. Rest assured, the solitary discolouration can be eradicated with cosmetic dentistry. Can You Get Teeth Whitening with a Permanent Retainer? A permanent retainer is a dental appliance which some people wear after having their braces removed. Permanent retainers are applied by a dentist in Calgary to the inside surface of the teeth in order to keep the teeth from shifting. Many people wonder if it's possible to get a professional teeth whitening in while wearing this retainer. Neglecting your dental care can lead to serious problems with your oral health. If you experience intense dental fear or require extensive dental procedures, IV or intravenous sedation may be an option that is both comfortable and practical. 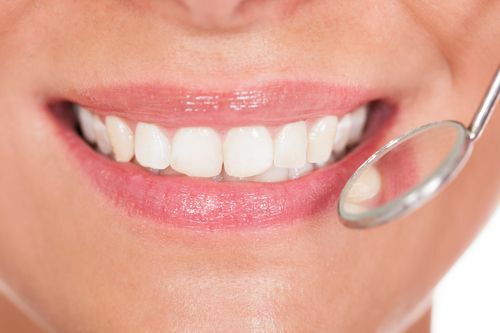 People often assume that cosmetic dentistry in Calgary is solely about improving the aesthetic appeal of a smile; in other words, that it's all about the cosmetic benefits. The truth is, however, that many procedures at Forest Lawn Dental Centre which would fall under the cosmetic dentistry umbrella have numerous benefits for dental and oral health as well. Veneers, dentures, dental implants, braces, teeth whitening - all of these are often considered cosmetic, but offer much more than just a pretty smile. Though not often talked about, tooth pain is actually quite a common occurrence while flying. As if flying isn't already stressful enough! At Forest Lawn Dental Centre, we have an experienced dentist in Calgary, who understands the unique stresses that flying can put on your teeth, as well as what can be done to prevent dental pain while flying or to deal with it once you have landed. If you are missing teeth, it is likely that you have partial or complete dentures. 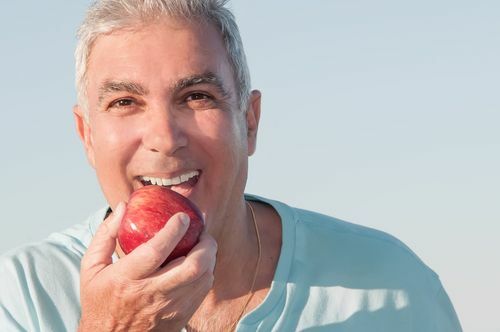 Complete dentures are used when all of your natural teeth are missing, which is the case for 1 in 15 Canadian adults under 80, while partial dentures, or bridges, are used when you are missing one to a few teeth. Both types of dentures however do need special care. Facial swelling, an area of localized redness and pain, can occur for many different reasons. It may be the result of an injury, a scratch, a sting, a bite, or for no apparent reason. However, one of the most common reasons for facial swelling is the development of an infected tooth with a dental abscess, and a dental abscess is something that needs to be looked at right away at a walk-in dentist in Calgary such as Forest Lawn Dental Centre. 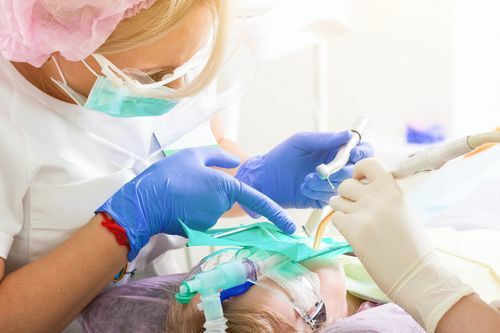 What Types of Sedation Dentistry Are Available for My Child? 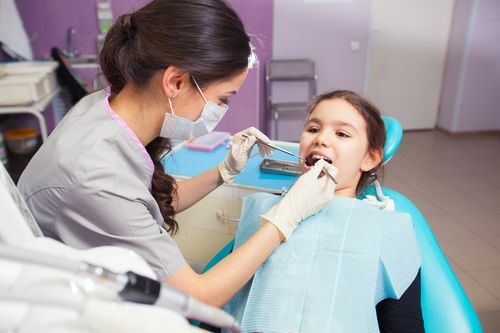 It is not uncommon for children to experience anxiety when they need to visit the dentist, and to have a difficult time sitting still and relaxing for long enough to have their teeth cleaned or to receive treatment. 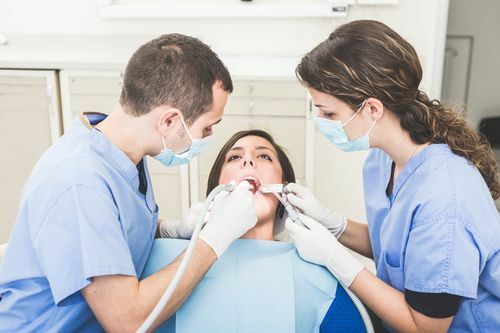 At Forest Lawn Dental Centre we want to ensure that dental visits are not unnecessarily stressful for our younger patients, which is why we offer sedation, including IV sedation, in Calgary. Taking care of your dental health is just as important as taking care of your overall health. Unfortunately, many people have problems securing affordable dental care for themselves and their families. 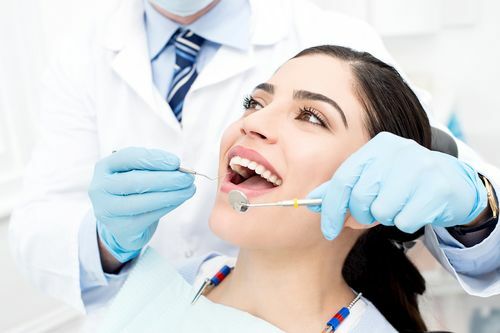 Forest Lawn Dental Centre, an affordable dentist in Calgary, has put together some useful tips that you can use for more affordable dentistry if you don't have insurance or if your insurance is sometimes not enough to cover the whole cost. Celebrities like Angelina Jolie and Tom Cruise both once got behind the wonders of orthodontics. Although Angelina wore braces as a child, Tom got his at age 40! Like so many other people, these celebrities used orthodontics to improve their overall health and appearance. Braces and other orthodontic appliances may boost your confidence and protect your teeth. The long-term benefits of orthodontics can outweigh the short-term cons. Dr. Sandhu provides an affordable option for braces at Forest Lawn Dental Centre in SE Calgary. He cites three main advantages to receiving orthodontic treatment that improve your smile and your quality of life. Many people assume electric toothbrushes are more effective at cleaning your teeth. However, dentists agree the most important feature of a toothbrush is how you use it. As long as you brush your teeth for at least 2 minutes twice a day, a manual toothbrush is likely to do just as much good as an electric one. Although there is no solid evidence that poor oral health causes heart disease, there is enough of a connection that the Canadian Dental Association encourages good hygiene for better heart health. What Is Gingivitis, and How Do I Treat It? Most of us are familiar with cavities – at least 90% of the population has had one. Similarly, gingivitis and gum inflammation is an oral ailment seen frequently in adults. But while most people know that brushing your teeth and avoiding sugar keeps teeth from rotting, how to treat gingivitis and gum disease is more of a mystery. Sorry if this bursts your bubble, but there is no magic elixir or fountain of youth for your teeth. If this newsflash ruins your day, we apologize. The good news, however, is that by understanding how teeth change with age, you can better take care of them. It is possible to keep your teeth healthy and vibrant even as you progress through adulthood and the elderly stages of life. The tongue is a truly fascinating muscle. It allows us to speak, helps in the digestion process, and makes kissing much more fun. But what is the tongue, how does it work, and how do we properly take care of it? It used to be a badge of honour among hockey players if they could smile and reveal several missing teeth. These gap-toothed smiles were intended as a sure sign of time spent on the ice. But hockey’s toothless era appears to have passed, thanks to the rise of the mouth guard. Your dentist uses fluoride for your regular cleanings, and you may see fluoride touted in large letters on the side of your toothpaste. Your city might even put fluoride in your water. You see and hear about this chemical everywhere, but do you know what it does? It’s the end of the night, and the date’s gone well. You knew your miniature golf skills would pay off one day, and they finally did – big time – when you got that hole-in-one and won the prize your date had been eyeing. What Are TMDs and What Can You Do about Them? You hear about it. You think about it. You try to prevent it, but it keeps on happening. When you find yourself stressed, it can manifest in your body in all sorts of ways. Some people get a stomach ache, some develop heartburn, and others perspire. Many people, however, clench their jaws. While it might seem harmless at the time, overusing your jaw can damage your temporomandibular joint (TMJ). Your temporomandibular joint is the sliding hinge that connects your skull and jawbone. When this feels sore or painful over long periods of time, you might have a TMJ disorder (TMD). When we think about the different systems in our body, we tend to keep them separate. Instead of viewing the body as an intricate, interconnected unit, we categorize parts into skeletal, muscular, immune, cardiovascular, digestive, and other systems. This makes our anatomy easier to understand, but it can oversimplify your body’s inner workings. Have You been Considering Porcelain Veneers, Calgary? A growing number of people are choosing porcelain veneers to give themselves a boost of confidence. Chips, stains, or gaps between teeth don’t have to mean an end to your smile. Porcelain veneers can look very natural and help to remove flaws that hinder your smile. If you're one of many patients in Calgary receiving care from an orthodontist, it's crucial that you learn how to look after your teeth properly while wearing braces. Many adults in Calgary live with missing teeth. But there's no need to go through life that way. Dentures and dental implants are common alternatives for missing teeth and can recreate the healthy-looking, youthful smile you once enjoyed. Looking for a better smile? Dental implants may be the perfect solution to replace missing roots or to support partial dentures. With a 98% success rate, dental implants are becoming increasingly popular in Calgary. 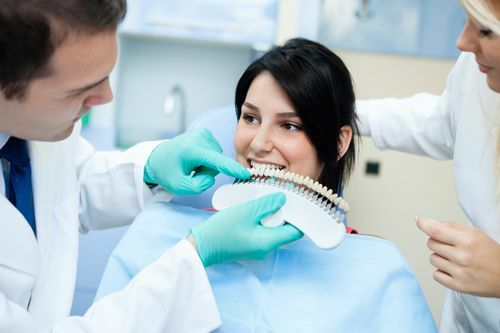 Can Sedation Dentistry Really Help You Overcome Your Fear of the Dentist? If the thought of visiting the dentist makes your palms sweat and heart race, you’re not alone. An estimated 20% of North Americans experience dental anxiety severe enough that they avoid making appointments to visit the dentist. Sadly, this means the state of their oral health is substandard or worse. So you just got new dentures. But what now? Having dentures takes a lot of getting used to. Besides getting used to how to speak and eat with dentures, you also need to adjust to a care and cleansing system to keep your dentures in tip-top shape. If you suffer from chronic bad breath, or halitosis, you might feel some embarrassment surrounding your condition. You may have purchased so much gum that you are considering buying stock in it. However, masking the issue will not have any lasting results. Attacking the root of the problem can help you get rid of your bad breath for good. Let’s face it, no one wants to floss. Okay, maybe some people love to floss, but for some of us it’s a struggle. However, you should be aware that flossing is really important. It’s the only way to prevent plaque, cavities, and gum disease from attacking in the spaces between teeth where a toothbrush can’t get to. Brushing your teeth will not only make them whiter, brighter, and fresher – it will also make your teeth healthier. If you don’t clean your teeth regularly, plaque (bacteria that sticks to your teeth) will cause cavities, stains, and gum disease. If you never brush your teeth, they might actually fall out. Contact Forest Lawn Dental Centre to schedule your dental appointment.